As more connected medical devices come to market, data and device security is of paramount concern. It is crucial to safeguard and protect customer’s data, security and the functionality of the device by designing with cyber security in mind. This presentation will discuss the cyber security challenges that connected medical devices face, including the new regulatory requirements published by the FDA and Health Canada. Intertek's "Connected World" solutions help medical device manufacturers address new risks and potential vulnerabilities in their IoT-connected equipment. From cyber security to interoperability, usability and performance, Intertek can help identify and minimize risk to your products, your brand and your customers. On the one hand we are constantly asked to innovate and evolve but the restraint often comes with regulatory requirements and the combination of new materials and technologies. Silicones have a long and prosperous history in medical due in part to leading bio-compatibility as well as delivering to critical specifications over a wide performance range; from elastomers and adhesives, to liquids and gels to foams. 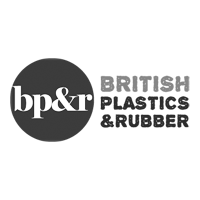 The talk will give an overview of the silicones that are utilised in the healthcare industry and the benefits, this will include looking at various USP requirements and how silicones can cover a wide range of requirements from extreme temperatures, lubrication, chemical resistance and extractables to meet the most demanding specifications. 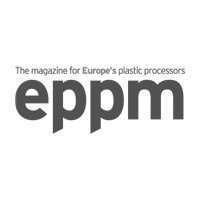 For those looking to the future, the latest developments and buzz areas will be covered, identifying how performance can be modified to meet niche specifications demanding conductivity, insulation, adhesion, as well as the plethora of options for processing including how 3D printing is being utilised and some of the common issues occurring in production. Connected healthcare has benefitted many of us in numerous ways, from remote monitoring to care and support through artificial intelligence. The desire and need for a ubiquitous system that covers all aspects of our health and wellbeing is stronger than ever. Ubiquity however poses significant challenges, in particular at the device, infrastructure, security and data management levels. This talk outlines the major components of a connected healthcare platform, its recent advances and the direction of travel towards a ubiquitous healthcare system. Smallfry are one of the leading UK Industrial Design and Innovation consultancies. Steve May-Russell Smallfry Managing Director and the elected Chairman of the British Industrial Design Association will host this session on the importance of a sound decision making process, Steve will demonstrate some of the consequences if this is not considered at the very beginning of the development process and will discuss some of the areas that need to understood, there will be case studies detailing how these practices have been implemented to commercialise some of the most innovative Medical Devices. Digital Light Synthesis™ technology is the breakthrough technology from Carbon Inc that uses digital light projection, oxygen permeable optics, and programmable liquid resins to produce product and equipment parts with excellent mechanical properties, resolution, and surface finish. Digital Light Synthesis™ has recently taken the spotlight in the dental sector, with Carbon’s specially formulated DPR10 dental resin 3D printing highly accurate dental models approximately 10 times faster than other 3D print or additive manufacturing methods. Paragon AM Technologies, a Paragon Rapid Technologies company, offers Digital Light Synthesis™ as a highly efficient, cost-effective medical innovation and production process. ITERATE is an engineering design consultancy focused on the development of new products. 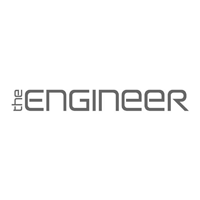 In 2017, the company secured a £1m InnovateUK grant to develop a new 3D printing technology that combined the deposition of polymer and conductive ink within the same build. 3D printing is now considered a viable option of manufacturing products in medium sized quantities; the introduction of conductive tracks potentially replaces the need for copper wires, enabling functional electro-mechanical products to be produced within a rapid time-frame. One area that this has been successfully realised is in the design of sensor-controlled prosthetics, which are more cost effective, light weight and adaptable than traditional alternatives. The award-winning Medtech Early Technical Assessment (META) tool has been developed by the National Institute for Health and Care Excellence (NICE) and the Greater Manchester Academic Health Science Network and delivery partner, Trustech, to respond to life sciences industry requests for help understanding the challenges of producing robust data to demonstrate the benefits of their product. The key question is: How can medtech developers, who are often SMEs, develop evidence to meet the needs of the regulatory process but also, through payer evaluation, to enable adoption into the NHS? META is an online tool that trained facilitators, either from NICE or other licensed organisations, can use to help medtech developers (including developers of diagnostics and digital products) understand their value proposition and where the evidence gaps are that would need to be addressed to support economic evaluation. To broaden the scope for use of the tool beyond NICE, we have developed an extensive training programme to license a variety of organisations to deliver META to enhance their offer to medtech developers. This presentation introduces the concept of the META tool, the benefits to the life science industry from its use, and how we intend to develop it in the future. At least one third and potentially up to two thirds of all reported adverse incidents with medical devices (including stand-alone software devices) can be linked to use and usability errors. Device regulators are increasingly requiring new devices to demonstrate usability along with existing safety and efficacy requirements. International standards have been developed (ISO/IEC 62366) to support the testing of device usability with the ultimate goal of generating a summative report to be included in the technical file. This presentation will explore the challenges set by implementing testing to ISO/IEC 62366 with real users in a realistic environment but not on real patients and then look at the implementation of “real world” usability studies could play in the accelerated uptake of new technology into the NHS and other healthcare systems. • IP Protection – Tailoring IP protection strategy for Med-Tech products. • Regulation – Key points for keeping up with the changing regulatory and technological environment. 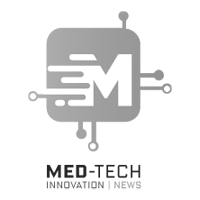 • Digital Med-Tech – Special considerations for the new generation of connected Med-Tech. The evolving improvements in the processes, materials, partnerships, and resources available for medical device R&D are promising--but can be hard to align with the the fundamental mechanical design processes. The speaker will review current and emerging capabilities available from key sources. These offerings will be focused on speeding the process of development for designs ranging from the most traditional to the most cutting edge, providing the 7 key things to know about this critical topic. Highly recommended for early-stage companies and entrepreneurs. Andy Tibbs will show milestones along the Boddingtons journey in becoming a trusted and expert international supplier of medical mouldings and services. 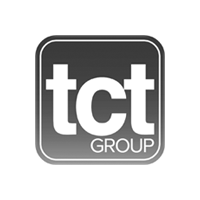 Visual and video material – including the project management and creation of the company’s purpose built £4.6m facility incorporating a dedicated Class 7 cleanroom for the production of Class 1 and 2 medical devices. 101 Class 7 Cleanroom moulding – showing the investments (time, resources, personnel) required - a typical spread of work done – and some special added-value services. ‘The extra mile’ – how the company manages to service the multifarious needs of the med-tech sector, with a special emphasis on its assembly work and related services such as printing, packaging and despatch. Administration, standards and paperwork. How Boddingtons takes on the management of all regulatory, standards and ‘red tape’ work for clients, together with all technical evolvement of designs and prototypes. How both processes combine in the company’s gated product introduction methods; reducing client risk and maximising opportunity. Marketing med-tech. How Boddingtons has supported its med-tech manufacturing strategy with related and focussed marketing activities in terms of company communications and exhibition and seminar work. In the case of stents, package integrity testing is of crucial importance. It assures the package barriers are intact and will protect the product from environmental contamination for its shelf life. Taking the right approach to establish package quality testing protocols and implementing the proper test method is no longer an option but is necessary to reduce patient or consumer risk by delivering high-quality, defect-free packaging. Regulatory oversight by the FDA has increased with the emergence of combination drug devices. Regulatory expectations within the medical device industry are tied to the advances and requirements realised within the pharmaceutical industry. The USP 1207 was rewritten to re-establish requirements and expectations with regard to testing sterile barrier packaging. The FDA uses the USP 1207 as a guide to relevant methodologies that can be deployed for package integrity testing. The FDA uses the same bar of risk based assessment and suggested methodologies listed in the USP 1207 in regulating combination products. The discussion will encompass package integrity testing, USP 1207, and regulatory shifts to come. Kaleidoscope Consultants and KPMG – the National Information Governance Partners – have been providing support for the NHS England Test Beds Programme since 2016. The Test Beds Programme is a series of small-scale incubations for new technologies, trialled for impact on NHS services and service innovation care and cost. We are currently working on Wave 2, having supported Waves 1 and 1.5. Kaleidoscope and KPMG’s role is to provide advice and guidance on compliance with data privacy legislation, NHS policy and risk. We have found some technology partners poorly prepared to supply the NHS and even where they were already supplying to some services, when appropriate rigor is applied, partners failed to meet the required standards. There are some valuable lessons to be learned here if you are a medical technology company, particularly algorithms which will be Class IIa under the Medical Device Regulation. Not least that compliance with MDR doesn’t mean it is lawful to sell and market your product, because it also must be compliant with the General Data Protection Regulation and the CE-mark doesn’t demonstrate this, nor does the MHRA look at this aspect when certifying. Come and learn what to look for and understand ways to comply. Discussion on the design of technology for ease of use and user appeal. Keeping user needs and lifestyle high on the ‘key drivers’ list, from the design requirements specification, through prototypes and into production. We all tend to do more of what we want that what we should; devices that are designed with this in mind can help with behaviour change and compliance. The impressive economic trajectory of Mauritius has successfully positioned it as a strategic regional partner. Leveraging on its geographic location, Mauritius is today a well-established business destination for investors seeking a conducive business environment, transparent regulations, and an efficient financial ecosystem offering a plethora of services. The country has adopted a pro-growth developmental path by opening up the economy to foreign talents in various sectors of activity. Mauritius has a diversified economic sector of activity contributing to its GDP with the manufacturing sector being the major contributor and around 75% in the service sector. Trade and investment opportunities exist in numerous fields of activity namely ICT BPO, manufacturing, life sciences and healthcare, financial services amongst others. Dedicated Business parks have been earmarked to give a further boost to the manufacturing sector focusing on high value-addition projects in pharmaceutical, medical devices, high tech manufacturing, light engineering amongst others. Its membership to regional economic blocs such as SADC, COMESA, IOC and preferential agreements with the EU and US provides the country market access to nearly 26% of the world population. This session will comprise of international experts who will discuss challenges and opportunities for the global medtech community. 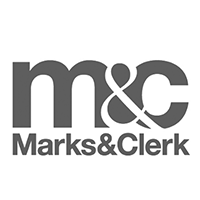 Global perspectives is sponsored by Marks & Clerk LLP. As part of our commitment to providing innovative and sustainable solutions, STERIS Applied Sterilization Technologies is pleased to announce our newest offering, sustainable EOSM sterilisation services. Our sustainable EO services provide customers with strategies to reduce the EO sterilant used in the sterilisation process to achieve the prescribed sterility assurance level. The program includes innovative approaches to EO sterilisation, such as cycle design, validation strategy, and process challenge device design, all focused on the reduction of EO residuals on healthcare products. Attention will also be given to additional and revised test methods, new regulatory considerations and changes that can affect manufacturers, developers, and project managers in the production of medical devices. Medical device manufacturers are increasingly under pressure to get products to market on time. Failed product integrity tests and remedy of the flaws can delay the process by months before resubmitting for additional testing. It’s essential that engineers have confidence that new designs will pass through all stages of testing at the development phase before committing to change tried and tested formulas. Similarly, changes to ISO 11607 will challenge the MDMs to prove that grandfathered packaging designs can meet the required standards while market forces will demand less packaging components and waste going to incinerators or landfill downstream. It isn’t uncommon for issues to manifest themselves later, even when packages pass drop tests, which requires product recall to investigate and eliminate the problems. 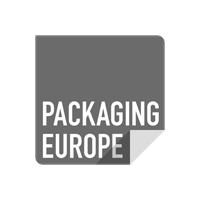 In this presentation, Nelipak will discuss their engineers' work in the development of simulation for thermoformed custom packaging. The talk will cover design and product integrity testing, predicted behaviour and performance, and first prototype samples. Case studies will demonstrate simulation in action and identify real-time cause and effect issues from the field. They will also show the implemented fixes and evaluate how they are supported by simulation data which provides high confidence levels of success before cutting new tools. The session will also examine how simulation can provide data on material thickness during forming and how it can impact drop testing and reduce material gauge towards more sustainable solutions. Launching a new product/technology is always associated with a certain degree of risk as you can rarely anticipate what the return of investment will be. This risk can often be limited by having a better understanding of your target markets including your prospective clients, competitors and suppliers. In his presentation, Michal Slomski will explain why a prior art search should be considered to obtain a more complete view of your market position and how this can help avoid unnecessary risks. Michal will also show how you could optimize your investment cost and accelerate your R&D by finding the right skills, expertise and partners to collaborate with. Christopher will present a holistic approach to simulation of an injection-moulded drug-delivery system. The presentation will demonstrate the importance of considering manufacturing processes when validating in-service performance and how simulation tools can be used to inform the design process.